UFO SIGHTINGS DAILY: Dark Drone Caught On Rover Cam During Mars Sunset, Nov 2015, Video, UFO Sighting News. 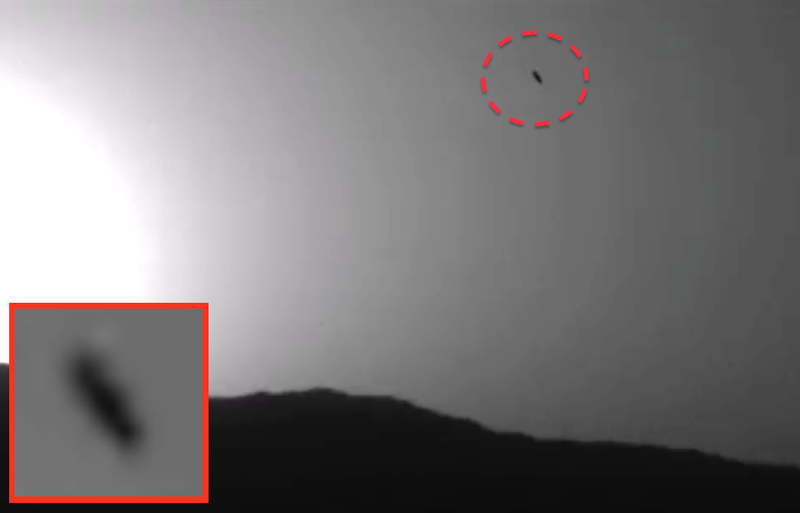 Dark Drone Caught On Rover Cam During Mars Sunset, Nov 2015, Video, UFO Sighting News. This UFO was found by Streetcap1 of Youtube. This long object was caught during sunset on Mars during sol 586. The UFO is tilted to an angle and looks like a drone of some sort. Where there is a drone, there is a person controlling it. Life on Mars. It's a bit dark but the shape looks quite interesting.